After receiving a few questions about “reward affiliates” I thought I’d write a brief blog post explaining the various types of affiliates in this area. Loyalty and reward affiliates provide compensation to customers who purchase products or services through links on their website. This compensation can come in the form of real money or points that can be redeemed for gifts or future purchases. To provide this reward, affiliates share a percentage of the commissions earned through an affiliate sale. Here’s an example. Affiliate marketing program X is providing affiliates with a 10% commission on all traffic which results in a sale. A customer visits the affiliate’s website, clicks on a link, is directed to a merchant site and makes a purchase. The affiliate is rewarded with a 10% commission. The affiliate then takes a percentage of that commission (let’s say 5%) and passes it back to the customer who made the purchase. This can be in the form or real currency, points, etc. There are also reward affiliates that allow customers to donate this reward to a charity of their choice. 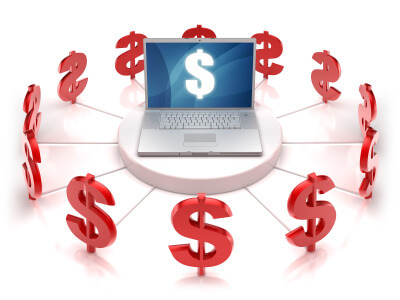 Virtual currency affiliates are a different type of publisher that fall within the category of rewards. These affiliates are heavily involved in the online game space and use those games as their marketing medium. Here’s an example of how they work. An affiliate marketing program is offering affiliates a 15% payout for the purchase of a product resulting from their referred traffic. The virtual currency affiliate places the merchant’s ad in front of a customer that is playing their online games and offers them an incentive if they purchase a product through that link. The incentive they’re offering is generally related to the game the consumer is playing. For example, this could be an offer like “earn 10 bonus tokens if you make a purchase from merchant Y”. The customer (game player) is incented to make a purchase in order to earn that virtual currency. As you might guess it’s not always an easy sell to have a customer make a purchase for a reward of virtually currency. This is why virtual currency affiliates really prefer to run affiliate programs that are commissioning for a lead, free trial, freemium service, etc. With this type of affiliate program the offer to the consumer would be more along the lines of “earn 10 bonus tokens if you complete this lead form” (or download this free product, etc.). Reward affiliates can be a great source of traffic and revenue for your affiliate program. If you’re running a lead based affiliate program you should proceed with caution to ensure that the quality leads being generated are in line with the amount you are paying out since the traffic is incentivized. It’s also important to watch out for affiliates who are providing their consumers with real money for the completion of a lead. These affiliates almost always generate the lowest quality leads for a program. If you have additional questions about affiliates in this space please feel free to reach out to our program management team.